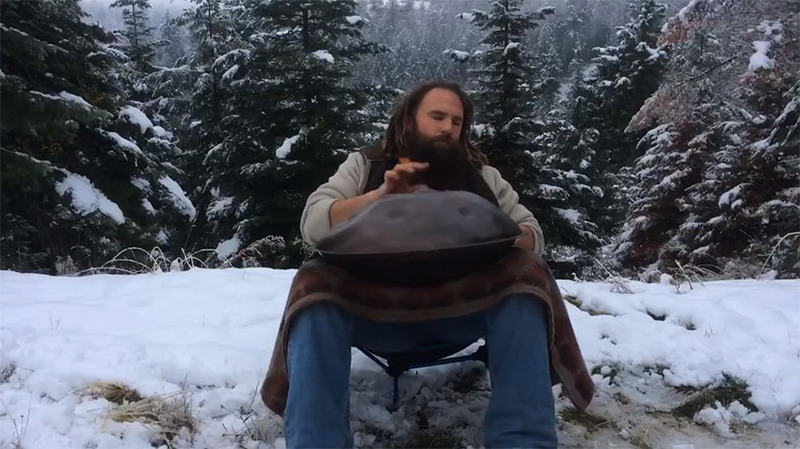 Adam Foote is a great music lover who presents himself to the world with the artistic name Ethereal In E. His favorite musical instrument is a handpan, with which he can create many sounds. Right in the aforementioned music video, Adam plays on handpan, and his performance took over many in these days. Together with his friend Evan McLachlan, who was playing ukulele in the background, Adam presented his music piece that takes you instantly. Everything was shot after the first snowfall in Coeur d'Alene in the state of Idaho. Many have written online that his playing is something the most beautiful, and his performance was described as a balm for the ears. When you listen to the performance, you will definitely agree with them. Thanks to this video, Adam left his regular job, and now he turned to professional music, where he already has a remarkable response. We want him all the best on his way, and at the same time we heartily hope that as many people as possible will listen to his music.